Undergraduate and Graduate students interested in gaining experiences in both research and teaching are welcome to contact Dr. Nadler. Check out the Research Lab page for more information on opportunities to work as a research assistant. Additionally, teaching assistant positions are available to exceptional students. 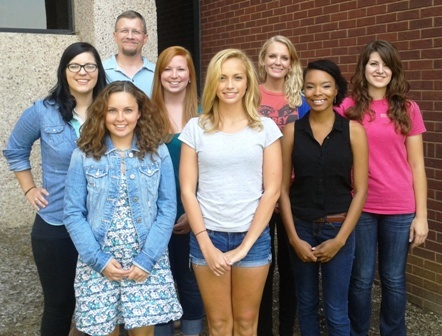 Research assistants (RAs) working in Dr. Nadler’s lab will gain a wide range of research experiences. RAs conduct experimental research sessions, work with SPSS, enter data, conduct analyses, review literature, discuss research designs, prepare graduate school application materials, gain experience with web based data collection, and present findings at local and/or national conferences. RAs work between three and nine hours a week for course credit and meet weekly with Dr. Nadler and the rest of the research team. The ideal candidate for becoming an RA is a student who has already taken the research methods and statistics courses, is a junior, has a GPA of 3.5 or higher, is a psychology major, and is strongly interested in going to graduate school in either Experimental Social Psychology or Industrial/Organizational Psychology after earning their bachelor’s degree. If you are interested in becoming an RA, but do not fit the above description please feel free to apply as exceptions are often made.